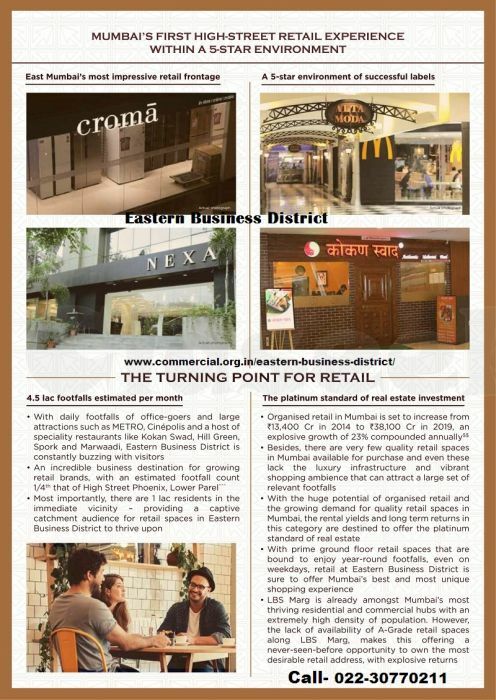 Eastern Business District is a new upcoming commercial real estate project in Mumbai developed by Neptune Group offering showroom space, commercial shops for sale, office space or inventory space to businesses, belonging to different sectors. This Commercial Project located at Bhandup Mumbai. Eastern Business District Bhandup has that exclusive location advantage, which is easily accessible from major transportation hubs of the city. It is situated a few meters away Eastern Express Highway of Mumbai. Nevertheless, an airport is also easily accessible to this property. 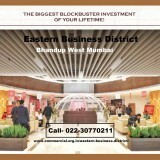 Eastern Business District Bhandup Mumbai is the collection of luxurious office spaces. Huge parking space is also there at Eastern Business District Mumbai. 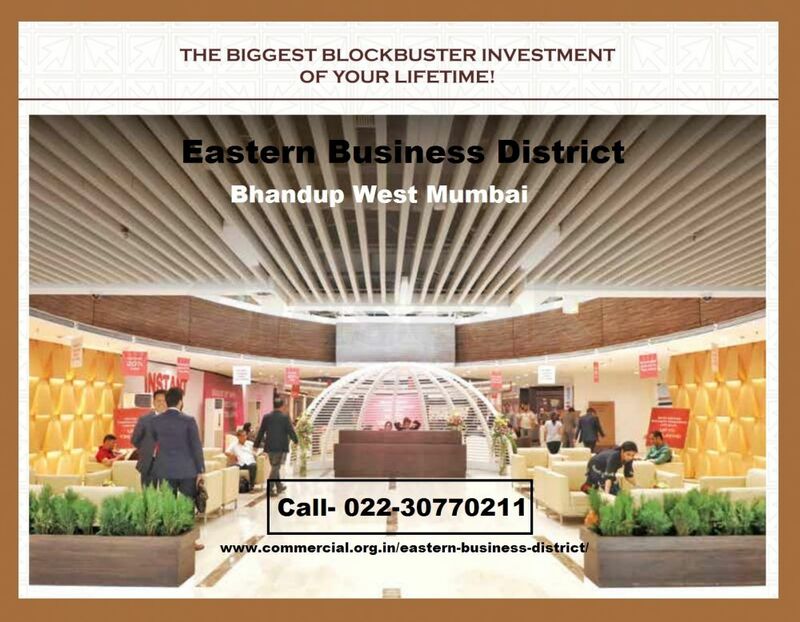 Eastern Business District Bhandup West Mumbai is a luxurious property, as its luxury lounge, gymnasium, incorporates cafeteria, yoga area, sky lounge, meditation hall, and many more world class facilities & amenities.